Collateral. The value of the property you are borrowing against. Credit. The way you have paid people in the past is considered a good indication of your willingness to pay money back in the future. 75% or more of loan originations involve the use of FICO credit scores. Capacity. Do you have the income to pay this loan and still eat! Commitment. How much of a cash down payment did you put down. Why are these 4 things important? Your mortgage will typically be a proportion of the value of the real estate. For example: the home has a market value of $100,000 and you want to borrow $80,000 as a first mortgage. This would be a Loan to Value ratio of 80%. Let us assume for the moment that you are buying the house for full market value, that is $100,000. Where does the rest of the money come from: $20,000 plus the closing costs, pre-paids etc? It could come from your savings, it could come from a second mortgage, either a seller held second mortgage or another lender, it could come from a gift, perhaps from your parents. Or it could be a combination of these. Lenders LIKE you to have your own money in the deal. If the other 20% is your money, this gives them a strong feeling of security. Why is this? It makes the loan safer for them, they don’t really believe that you have got a great deal and they still want you to have your money in the deal. There are mortgage lenders, typically those that work with investors, who will not be bound by a percentage of the purchase price. However they will usually lend you less than 80% of the appraisal value. These lenders are often called hard money lenders. Why is the Loan to Value ratio important? Simple. If the lender has to foreclose on the loan because the borrower hasn’t paid, they will not only want to recover the principal outstanding, but also their legal fees and unpaid interest. Obviously this can only happen if the house is worth more than the principal, legal fees and accrued interest. If they lent $100,000 against a home worth $100,000 this is not likely to be the case! If you have a proven history of not paying other people on time, it is highly likely you won’t pay the lender on time. Let’s be blunt here. When someone has bad credit, what it really means is they just don’t pay their bills. Now there can be a good reason for this, and these are often taken into account. For example medical bills when someone has no health insurance. Or perhaps you went through a nasty divorce and your bank account was cleaned out. Maybe you started a business that failed and have now got a regular job. But if there is a track record of car repossessions, credit card write-offs, unpaid utility bills etc. you come across as someone who is financially irresponsible. Unless the property is worth a lot more than the loan you want, you probably won’t get it. Order your Credit Report online now. The lender wants to be sure that you can afford to pay your mortgage and still pay your other bills. In fact, it is LAW in some states that lenders avoid residential loans that the borrower clearly can’t afford. They will consider your job history and your time in the job. How much other debt do you have? Are you over extended? Conventional lenders use certain ratios to calculate your capacity to pay back the loan. A conventional lender is one like Bank of America, Wachovia, Wells Fargo Bank. The mortgage debt ratio. This is the percentage of the new mortgage payment to your income. 28% is a typical maximum ratio on a conventional mortgage. The total debt ratio. This is the percentage of your total monthly payments, including the new mortgage, to your income. 33% is a typical maximum ratio on a conventional mortgage. 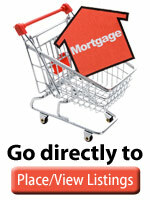 Find a lender or post your mortgage request. Commitment is usually shown by having your own money at risk. If you are buying a $100,000 home and put down an investment yourself of $20,000 you have made a big commitment and will not lightly walk away from your obligations. On the other hand, if you have none or little of your own money invested, you are much more likely to just shrug your shoulders if things get tough and walk away from your obligations. Consistently, year after year, low down payment FHA mortgages loans have a higher default rate than conventional mortgage loans. LTV means Loan to Value. If your property is worth $100,000 and you want to borrow $60,000 the LTV is 60%. Excellent credit means no late pays in last 12 months. No foreclosures or bankruptcy last 7 years. Few blemishes means few late pays in last 12 months. Foreclosure or bankruptcy over 4 years ago. Poor credit means many late pays. Foreclosure or bankruptcy within last 4 years. Terrible credit means currently in foreclosure, discharged from bankruptcy within last year.